Designed with creative details. High end cubic zirconia. Platinum overlay bracelet and ring set. These items are the perfect accessory combo. 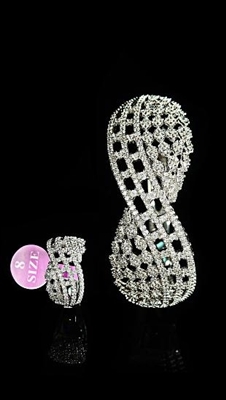 You can wear separate or together and they will still catch the eyes of true jewelry lovers.